Can Vitamins Make Your Skin Look Younger? Can Certain Fruits and Vegetables Help Your Skin Look Good? 1 Can Vitamins Make Your Skin Look Younger? 3 Which Vitamins Can Help Reverse Wrinkles? 4 Can Certain Fruits and Vegetables Help Your Skin Look Good? Everyone wants to look their best, regardless of age. One way of doing this is by delaying common signs of aging. Of these signs, wrinkles seem to shout the loudest about the passing of years. 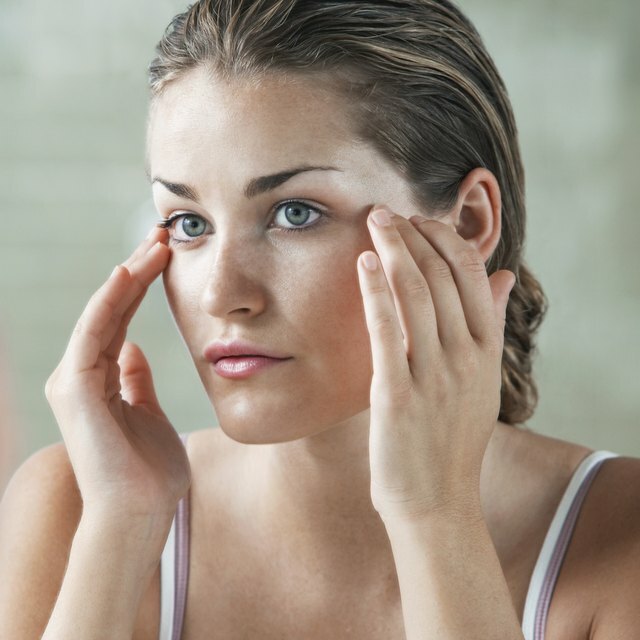 You can purchase many over-the-counter creams and serums to disguise or slow the development of wrinkles. Or, you can try one of the many do-it-yourself wrinkle erasers available in your home. Create your own wrinkle erasing cream with items from your kitchen. Make a soothing and moisturizing face mask with some raw honey and one egg. You can buy raw honey at health food stores. Mix the two ingredients together and smooth on the face. Allow the mixture to remain on the face for at least ten minutes. Use the time to renew your energy with a short catnap. When you’re ready to remove the mask, simply moisten with warm water and then rinse it away. The ingredients in the mask will leave your skin feeling and looking smooth and soft and reduce the appearance of wrinkles. It will improve the condition of your skin and slow the formation of new wrinkles. Alter the recipe by replacing the raw honey with sweet cream. Use the cream two or three times a week for a couple of months. Afterwards, use once or twice a week to maintain results. Delaying the formation of wrinkles may be as easy as eating foods rich in antioxidants. And, it is the easiest homemade remedy to use. Antioxidant rich foods improve the overall appearance of your skin. They help the skin retain its youthful tone and texture. And best of all, antioxidants delay the development of wrinkles. Include plenty of these wonder foods in your diet every day. Use them as snacks between meals. Items included in the skin-rejuvenating food list are pinto beans, red kidney beans, artichokes, garlic, tomatoes, apples, plums, raspberries, blackberries, strawberries and cranberries. Healthy fats and Omega-3 fatty acids are equally important in retaining your smooth, youthful glow. They improve skin texture and prevent skin drying. To gain the wrinkle eraser benefits, eat plenty of cashews and salmon. Cook with olive oil and use it in your salad dressings. Take vitamin supplements daily as part of your beautiful skin routine. Vitamin E reduces the damaging effects caused by the sun. Sun damage is one of the major causes of aging skin and wrinkles. The vitamins A and C are also beneficial. These vitamins improve skin appearance and texture. Purchase high quality vitamin supplements and take them every day to protect your skin and to help prevent the wrinkles of the future.